202 people read this post. 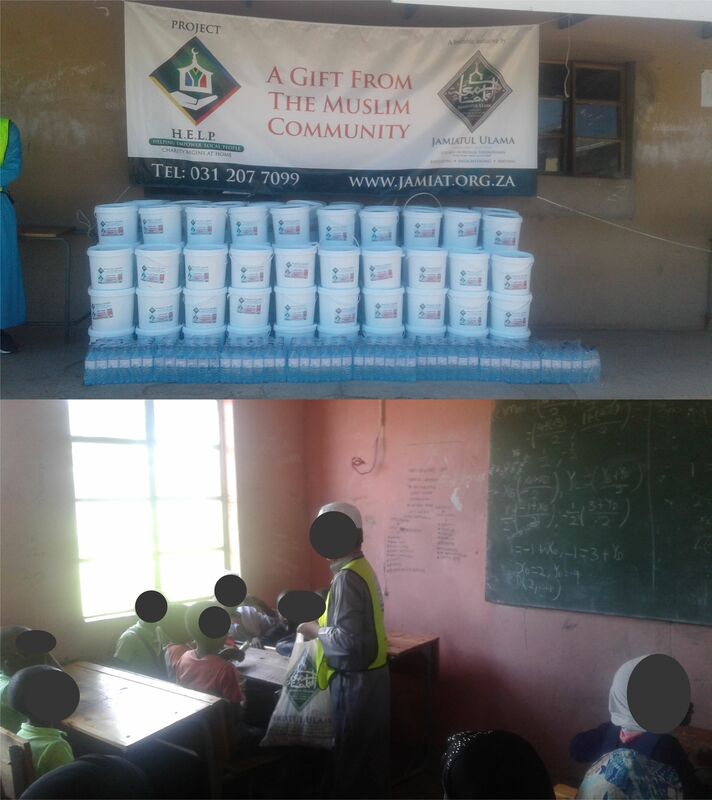 Alhamdulillah, On Wednesday 20 March 2019, the Project H.E.L.P (Helping Empower Local People) team from the Jamiatul Ulama KZN office visited Amatshezulu High School in Georgedale which is neighbouring to Hammarsdale. 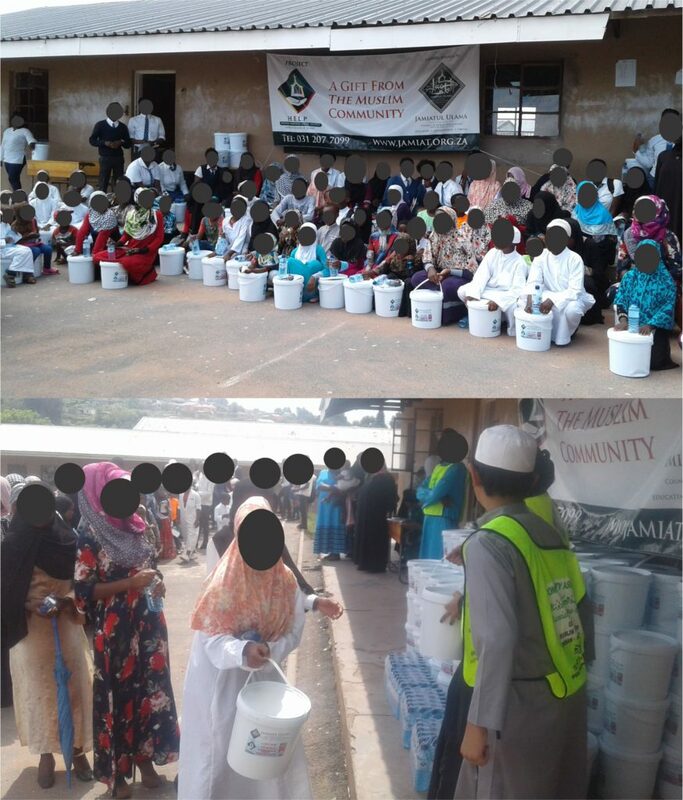 An appeal was received by Sister Maryam who is an educator in the school. The school has over 1 000 learners. It was heart-breaking to see the condition of the school. There is only a single tap that is shared by all in the school. The toilets are in a dire state as well. As for the classrooms, many don’t have windows or doors, the desks are in a shoddy state and learners have to cramp and use what desks are available. Many of the learners come from underprivileged homes and have HIV or Tuberculosis. There are three Maktabs in the vicinity and the pupils from there were also in attendance. We express our gratitude to Almighty Allah Ta’ala for affording us the opportunity of serving His creation as well as our donors for their generous contributions. Other schools and institutions who wish to participate in such social outreach projects can contact the Jamiatul Ulama KZN offices. Next Is “Salah the ‘MI’RAJ’ (Ascension) of a Believer” an Authentic Hadith ?